Reception, assistance and transfer to the hotel. 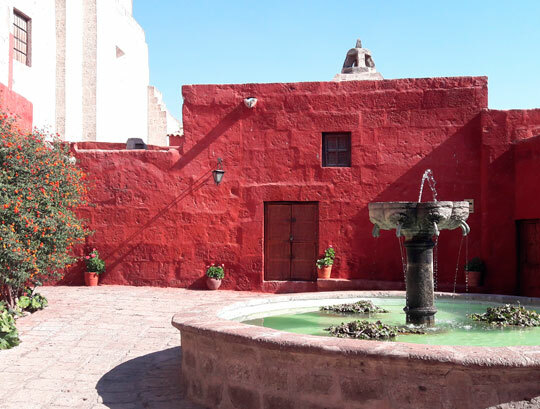 In the afternoon we start the city visiting Santa Catalina Monastery. The Convent of Santa Catalina was opened in 1970 is one of the most notable buildings of the city, the walls keep 400 years of history. 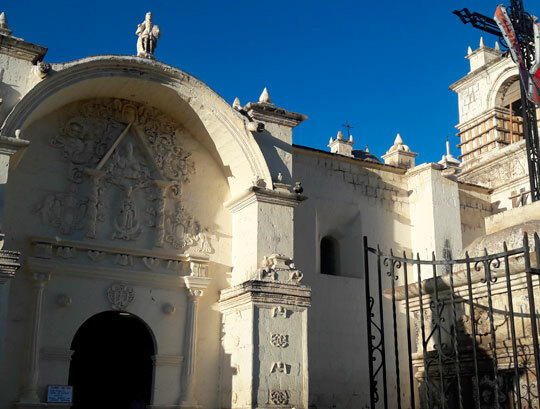 The city counts with Spanish-type buildings and ancient churches built on sillar, white volcanic rock that has been used in the construction of Arequipa City. 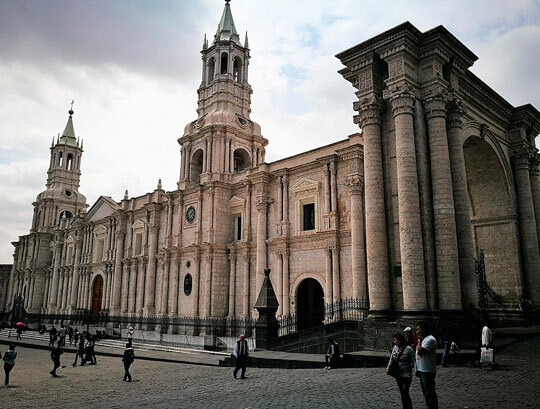 The Main Square of Arequipa is one of the most spectacular of all Peru. Its imposing cathedral and the magnificent view of the Misti Volcano attractions are impossible to ignore for any traveler. 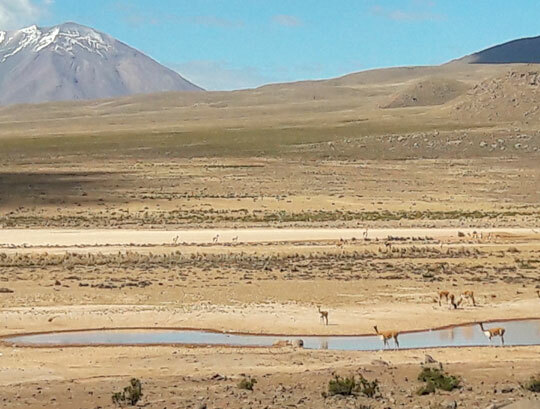 At 8:00 a.m. we left the city of Arequipa, taking the route north to Yura, during the tour will visit the National Reserve of Salinas and Aguada Blanca where we will see wild vicunas, llamas and alpacas, in Pampa Cañahuas it is possible to appreciate different types of birds such as flamingos, herons, geese Andean ducks, eagles of the Andes "Kara kara"; then we will arrive to the viewpoint of the volcano where we will have a privileged view of snow-covered mountains in Patapampa (4800 m.-15 000 feet). 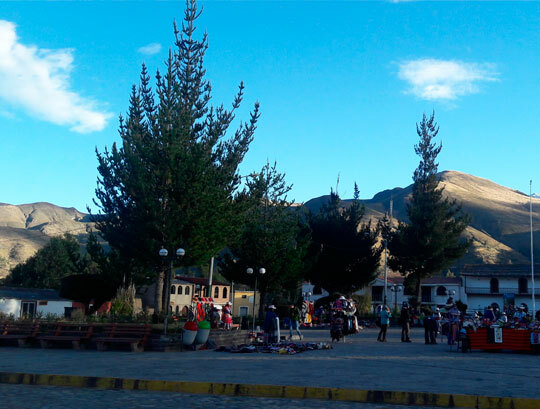 Arrival to Chivay capital of the valley, lunch and accommodation in the hotel. During the afternoon we have the option to visit “La Calera “baths, with a temperature of 40 º and the water has medicinal properties. (Tickets to the baths are not included, approx. $ 3 per person). Overnight. After breakfast, we begin our journey along the left margin of Colca River, visiting the beautiful and typical villages such as Yanque Maca, colonial churches and we will contact the friendly people that even dressed in their traditional dress embroidered by themselves in the path observed hundreds platforms or pre-Inca terraces that are still in used where they grow corn, quinoa, kiwicha etc. 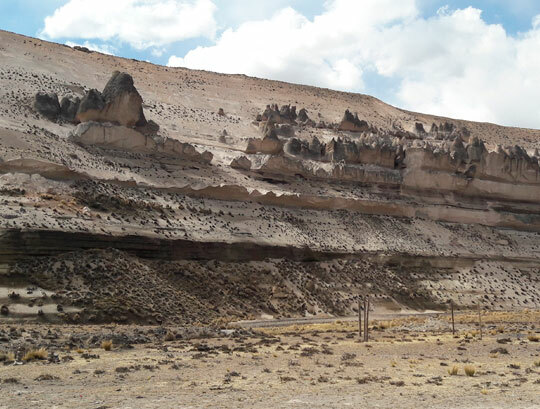 In the viewpoint of the "Cruz del Condor" we will appreciate the depth of the canyon and the flight of the majestic condor, on the way back lwe will see lito models, pre-Inca tombs. After lunch we return to the city of Arequipa. (18:00 hrs. Approx. Arequipa). Overnight Hotel. Breakfast, assistance and transfer to the airport or bus station. - All transportation on land and lake specified in the itinerary. - All excursions with bilingual guide service. - Meals specified in itinerary. - National or International Tickets. - Taxes in general, excess baggage charges, additional nights due to cancellation of flights. - Local calls, national or international. - Personal services like laundry, and others not specified in the itinerary.